A traditional cup measures 4.25 inches. The golf ball 1.68 inches. Just ask Dustin Johnson, there’s not a lot of room for error. 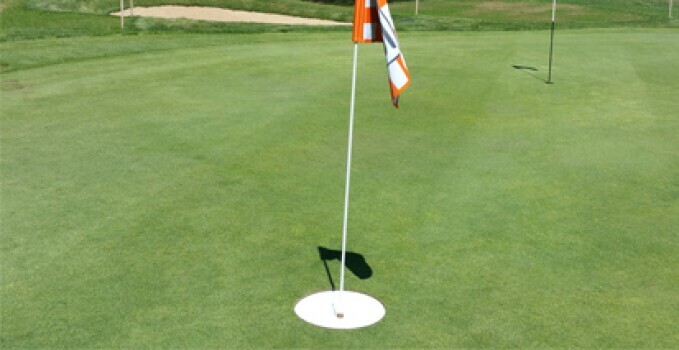 Falmouth Country Club in East Falmouth, MA is here to help ease the pain of missed putts with the introduction of Big Cups to its popular nine-hole Talon Course. Measuring 15 inches, the new set of holes are making the game more fun for beginners and advanced players alike. Cut into the green alongside traditional cups, golfers have the option to play to either hole. In addition to added enjoyment, Big Cups are speeding up pace of play. Falmouth is currently the only course on Cape Cod to feature Big Cups. Click HERE for the full article in capenews.net.